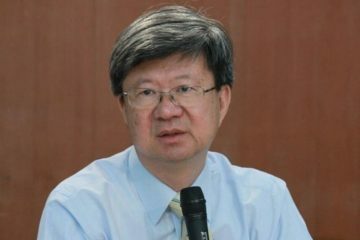 CONTROVERSY HAS been provoked by comments from Tainan mayor William Lai stating that his views are for Taiwan to have relations “close to China, while loving Taiwan.” For Lai, previously known as a pro-independence firebrand, these comments are a notable step back from previous statements in which Lai avowed support of Taiwanese independence while traveling in China. Very likely Lai’s statement reflects two things. First, Lai’s comments come as the latest in a series of efforts by high-powered city or municipal-level politicians of a pro-independence leaning slant to circumvent the foreign policy of the central government in order to establish what they see as a sustainable relationship with China on their own terms. Second, Lai may be planning on running for president with the support of the New Tide faction of the DPP, and hoping to displace Tsai Ing-Wen as presidential candidate of the DPP. 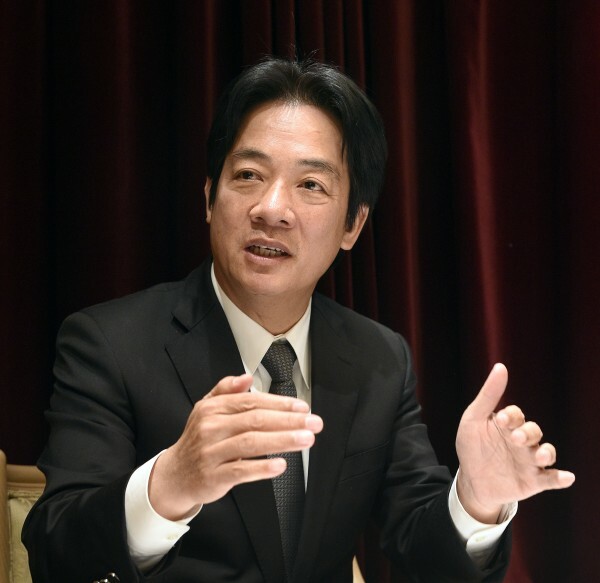 Alternatively, Lai may be planning on running for the position of pan-Blue leaning New Taipei City in the near future, as a result of which he is hoping to make himself more amenable to pan-Blue voters. 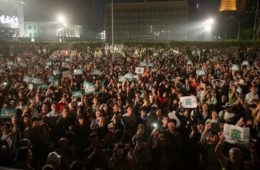 Namely, while some backlash has ensued against Lai with the claim that Lai has sold out the cause of Taiwanese independence, it seems unlikely that Lai would reverse political course so dramatically with no apparent indicator as to why. 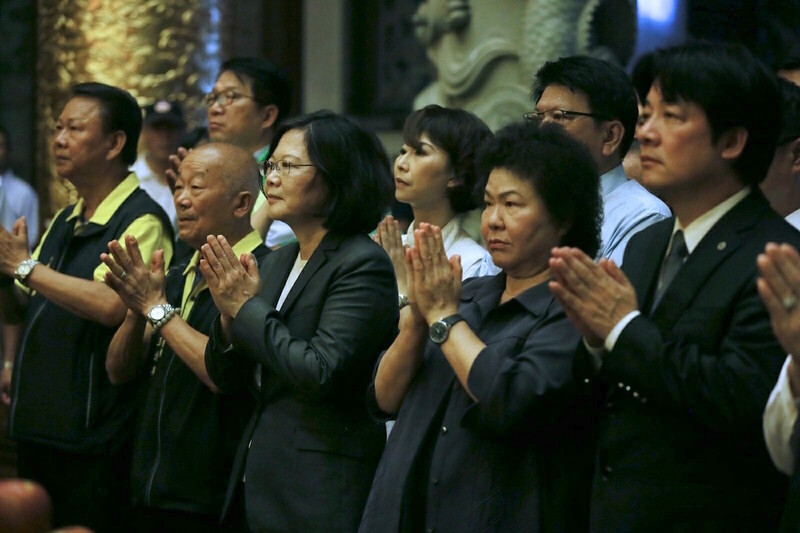 The fear of political turncoats runs deep in Taiwan. 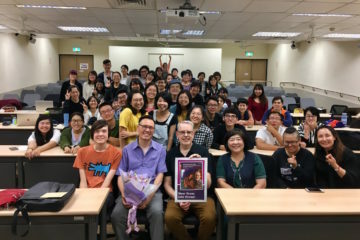 We can see this in DPP fear of pan-Blue conversions, as well as the KMT fear of pan-Green conversions, particularly in terror of another Lee Teng-Hui emerging from within the party. 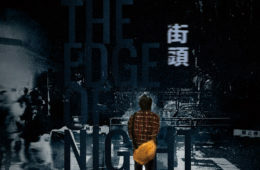 Indeed, the fervent nature of KMT animosity towards Wang Jinpyng of the “Taiwanese faction” of the KMT or any benshengren member of the KMT is probably reflective of the deep fear that Wang or others could prove another Lee Teng-Hui, operating deep cover within the KMT for pro-independence aims. 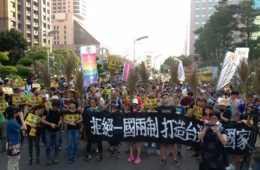 In this way, fear of political turncoats is probably also reflective of the lingering ideological structure of the martial law period, in which political betrayal was always a possibility, as well as the deeply polarized nature of Taiwanese society, divided as it is between sharp political lines. 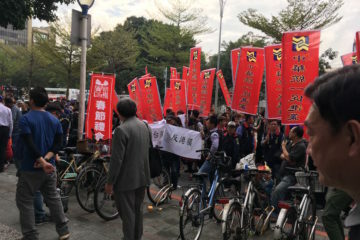 In recent memory, similar accusations of political betrayal were made against Taipei mayor Ko Wen-Je for attempts to establish relations between Taipei and Chinese cities as Beijing and Shanghai on a city-to-city basis. 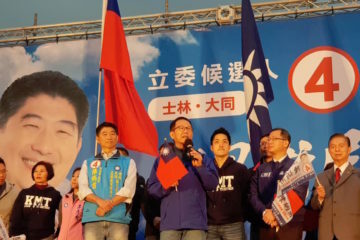 Although Ko expresses a number of idiosyncratic political views, including enjoying a friendship with deep Blue political candidate James Soong, praising Chiang Ching-Kuo as a “model of politics”, and hesitance to remove Chiang iconography from Taiwan, Ko rode into the Taipei mayorship with the support of post-Sunflower movement Taiwanese youth activists. While Ko ran as an independent candidate and was thus dubbed a candidate “beyond pan-Blue or pan-Green,” Ko enjoyed the endorsement of the pan-Green camp through beating the DPP candidate in a party referendum. As such, it seems unlikely for Ko to thus be closeting pan-Blue allegiances either, but such accusations were made nonetheless. 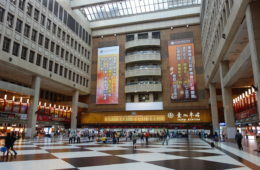 With deteriorating relations between the Tsai administration and China after the refusal of the Tsai administration to acknowledge the 1992 Consensus, very probably what Ko was attempting to do was to build an independent basis for foreign relations between Taiwan and China on his own terms. 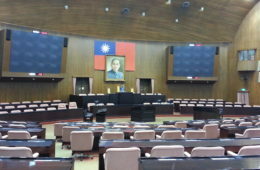 City or municipal-level leaders such as Ko are disproportionately powerful politicians in Taiwan given that Taiwan’s small geographic size, high population concentration, and sharp political divisions between different regions of the country means that politicians at city or municipal levels of governance can enjoy tremendous power. With a population of 2.7 million, more than 10% of the Taiwanese population lives in Taipei. 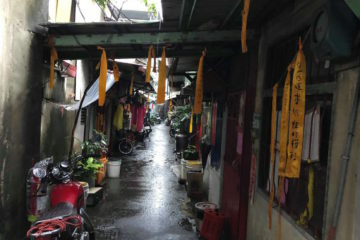 So, too, with William Lai in Tainan, as mayor of a city with a population of 1.8 million, about 8% of the Taiwanese population. As such, Lai may similarly mean to develop an independent basis of foreign policy with China from the Tsai administration and take Taiwan’s foreign policy into his own hands. 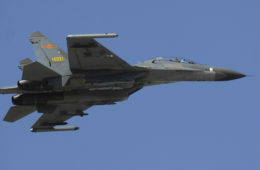 Yet it maybe that Taiwan as a whole presently faces the question of how to develop a new “formula” for relations with China beyond the 1992 Consensus and this something which is particularly a challenge for pro-independence leaning political actors. 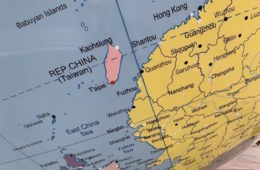 China continues to demand that Taiwan acquiesce to the 1992 Consensus and acknowledge of “One China” of which Taiwan is supposedly a part of, which Taiwan cannot acknowledge without diminishing its ability to preserve its de facto independence. 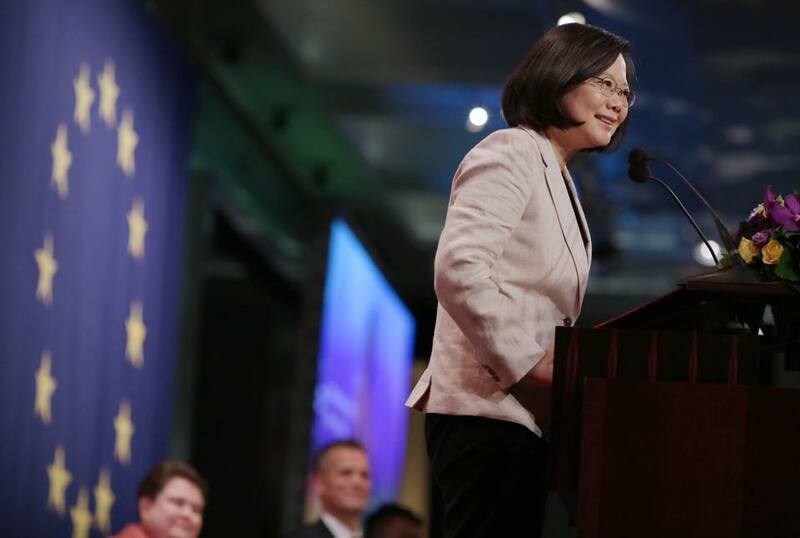 Tsai did not acknowledge the 1992 Consensus during her inauguration speech, instead referring to the “historical facts of the 1992 talks”. This was already a concession seeing as the DPP has never acknowledged the 1992 Consensus as anything but a post-facto fiction coined by Su Chi of the KMT in 2000 to facilitate Taiwan’s democratic transition. 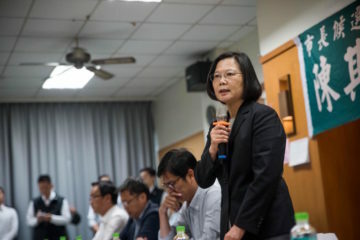 As a result, Tsai may have sought to use this as her new “formula” to replace the 1992 Consensus in a vaguely compromising way which would not acknowledge Taiwan as part of “One China” while delicately skirting around the firmer non-acknowledgement of the 1992 Consensus that would provoke China. 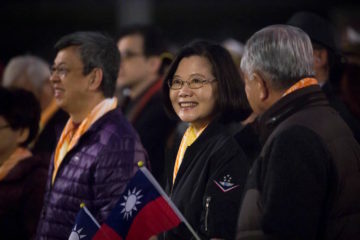 But, after initially expressing confusion as to the strategically ambiguous nature of Tsai’s words, pending some months in which China played a waiting game to see as to the meaning of Tsai’s words, China decided this was not enough and sought to deteriorate relations with Taiwan. The sense may generally be that some new “formula” is needed to replace the 1992 Consensus. 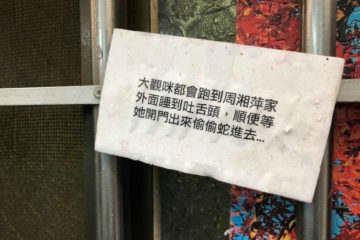 Even the pan-Blue camp may vaguely see this need, in consideration of that pan-Blue camp has repeatedly attacked Tsai Ing-Wen’s failure to acknowledge the 1992 Consensus and claimed that acknowledgement of the 1992 Consensus is an important and fundamental guarantor of stability. Some attempts were thus made by the KMT in the lead-up to 2016 presidential elections to produce a new “formula”. 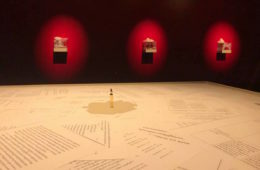 These include speculative analyses that the KMT would attempt to bill the 2015 Ma-Xi meeting as producing a “2015 Consensus” or Hung Hsiu-Chu’s bizarre attempt to replace the “One China, Two Interpretations” of the 1992 Consensus with her “advanced version” of the 1992 Consensus of “One China, Same Interpretation.” Yet none of these had any particular traction with the Taiwanese people. 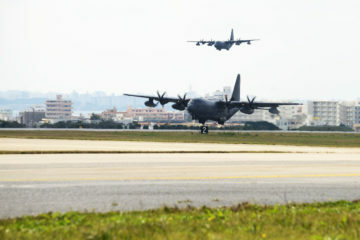 Indeed, for the pan-Blue camp, the attempt to produce a successor to the 1992 Consensus would be produce some formula which wins over the Taiwanese people and is not perceived as deteriorating of Taiwan’s freedoms while ultimately serving to facilitate the eventual unification of Taiwan and China in some form, something increasingly a challenge in the present. On the other hand, for the pan-Green camp, this needs to be a “formula” which preserves Taiwanese independence while being strategically ambiguous enough as to prevent relations with China from deteriorating. But if William Lai is indeed attempting to outflank Tsai Ing-Wen on the basis of cross-strait relations and use this as the crucial issue upon which to mount a future challenge against Tsai Ing-Wen, this indicates that cross-strait relations are presently a hotbed issue within the DPP. 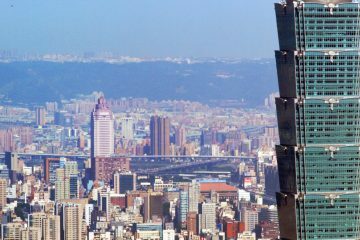 In what has often been perceived as a response to Lai’s comments, the Tsai administration stated afterwards that they are attempting to develop a new model of cross-strait relations with China. What, then, for future contestation within the DPP in the lead-up to 2020 presidential elections? Are Lai’s comments and subsequent reactions from the Tsai administration a sign that contestation within the DPP will orient around the issue of cross-strait relations? 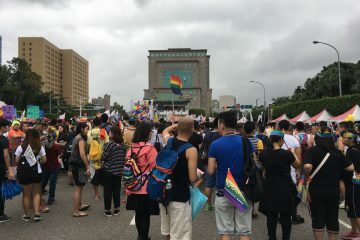 And what will this mean overall for Taiwan’s ability to not only preserve its current de facto independence, but its aspiration towards realizing a more permanent form of independence? Wu Se-Hwa, What Have You Done? The KMT Attempting to Stir Up Intergenerational Conflict?